The above picture is from the PDF file of the book. 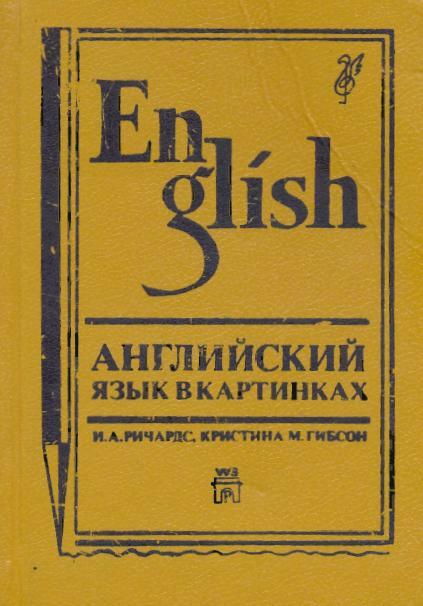 'English Through Pictures' is the remarkable invention of I A Richards and Christine Gibson, who designed it to help the learner speak, read and write English in the quickest and clearest possible way – through pictures. The authors have made a careful selection of the most widely useful English words, choosing those with the power to define other words, and have put them to work in key patterns that offer the learner the ability to communicate successfully in English.